With its breathtaking beaches, awe-inspiring nature and warm, vibrant culture, it's no wonder Bermuda is considered the Jewel of the Atlantic. As spring sets in and the days grow longer, the island's pleasantly temperate climate invites exploration of its unforgettable natural beauty and lively cultural traditions. Come discover a different kind of spring getaway to a place where island soul, British sophistication, an adventurous spirit and a hint of mystery join together for an experience you won't want to miss – all just two hours from the U.S. East Coast. Experience living off the land as you walk along and sample delicious dishes made from native Bermudian plants during this tour of an area of the island where herbs and other edible plants grow. Immerse your senses in wild foliage while learning the health properties of – and the lore behind – Bermuda’s wild botanicals. Learn about the island’s history, flora and fauna as you go along this scenic trail that runs the length of the island, with or without a guide. Trek up to Fort Scaur for panoramic views of the island before returning to a secluded beach for relaxation and a swim to cool off. Summon courage for a cliff-diving session. Explore Bermuda’s most photogenic spots. Learn the two very different reasons why 91 forts were built around Bermuda. Hidden Gems tours make it all possible. Experience downward-facing dog while floating on a stand-up paddleboard (SUP) with Lucky Elephant Wellness. You’ll paddle out into the surf, then sit, stand, stretch and try not to fall. Or, opt for a poolside or seaside session and breathe in the curative powers of the sea air as you overlook pink-sand beaches and the sparkling Atlantic Ocean. Learn about the art of perfumery as you create your own personalized essence of Bermuda, infused with your own island memories. Situated in an intriguing historic building, Lili Bermuda has been creating and handcrafting fine fragrances since 1928. While you're here, browse the enchanting garden and courtyard. Book a private cruise through Hamilton Harbour to the edge of Paradise Lakes for a catered dinner at Island House, a rustic and elegant property on Long Island. Enjoy cocktails and champagne on the Upper Lawn while being serenaded with live music from a local professional artist – also bookable on Winnow. Uncover the mystery of sunken ships and fallen planes at the Bermuda Underwater Exploration Institute. Kids will love the interactive exhibits, and all will love hearing the theories that surround the phenomenon. Book a ride on BUEI’s miniature Blue Train for a tour of Hamilton, Bermuda's capital. A two-hour electric bike tour is an excellent way to effortlessly explore the island's many sights. See Bermuda’s wild Railway Trail, its nature reserves and its beaches. Your guide will offer interesting insights and can even arrange a Bermuda-style lunch. Discover the gems that tower beneath the surface, and see the awe in your children's eyes as they learn about how they formed and continue to grow with every drop of mineral-rich water that trickles through the ground. Fun fact: the Crystal Caves were discovered during a game of cricket. Like the colours that enliven Bermuda's landscape, out here, vibrant cultural traditions and natural beauty come to life in spring. Since those first shipwrecked sailors arrived on Bermuda's shore, sailing has been a vital component of the island's history and culture. Out here, there are many ways to enjoy sailing. The relaxing vibe here lends itself to low key-experiences, especially rounds of golf on gorgeous seaside courses and sumptuous spa treatments that'll ease you into vacation mode. Combining the best of Bermuda's agriculture, food culture, equestrian skills and live entertainment. The greatest rental bargain on the island, one peppercorn. Don't miss this bucket-list World Triathlon Series event. See luxury yachts vie for the finish line – and come cheer for the winners of this challenging race. Celebrate the unofficial start of summer during this afternoon event. With deals like these, what are you waiting for? Before you make a break for Bermuda, find more inspiration for your exceptional spring adventure. While it may be at a similar latitude to the U.S. state of North Carolina, Bermuda has mild springtime temps thanks to the Gulf Stream and plenty of sunshine – no need to pack a parka. 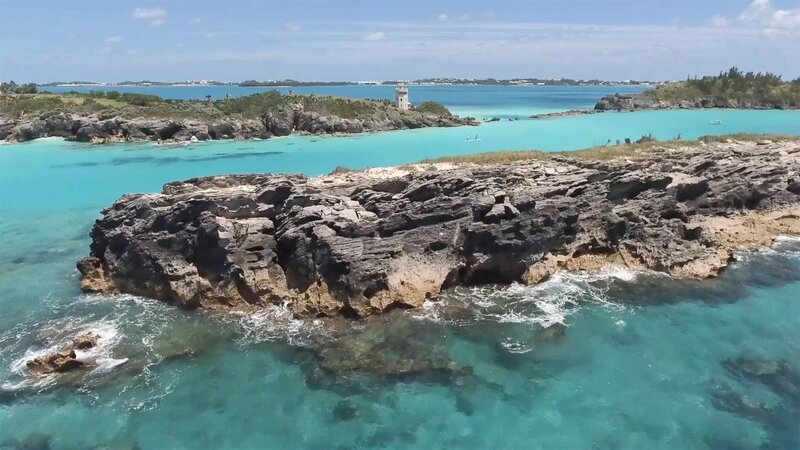 For more insider tips on Bermuda's seasons, the Adventure Almanac offers insight into prime months for all of the island's cherished activities. Plus, check out tips on what to pack for your island excursion.